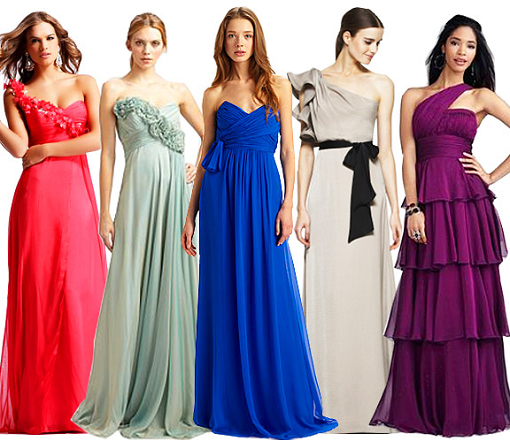 Gown — a wonderful outfit for a special occasion, it can be worn for a corporate party, anniversary, wedding celebration or prom. But if to knit from lightweight, airy fabric, you get a trendy summer look. Prepare the items necessary for sewing material. For floor-length dresses will fit elegant silk fabric with a noble shimmer and lace fabric, velvet, Jersey, chiffon and so on. As a pattern, you can use the pattern any model of dress, it will be necessary only to increase the length of the skirt. Measure this measure, placing the measuring tape along the body from the waist to the floor while you will need to wear the shoes that will complement the image. Lay the fabric on a smooth, flat surface. First cutting details for the bodice. Circle pattern tailor's chalk and cut, leaving 1 cm on all the slices of the allowances for seams. After that again spread the material and take the details of the skirt. Dress to the floor should sit on the figure perfectly, so you need to pre-sweep the parts and do the fitting. Work perform a fine needle and thread to fabric left punctures. When first trying on to check the fit of the bodice. Adjust the Darts, shoulder and side seams. Sweeps on new lines and do a second fitting. Refine the neckline and armholes. Sew Darts, side and shoulder seams of the bodice, if necessary vsheyte hidden zip. Sweeps the details of the skirt and sew it to the bodice. Spend a third fitting. Precise waist line and the skirt length. At this fitting you need to wear shoes which you'll wear the dress to the floor. Fold the lower section of the skirt so that the hem was up to the floor line or a little more if the dress with a train. If you sew for yourself, ask someone to help you, because to do this yourself is quite difficult. Very convenient to carry out the procedure of fitting on a stand. Sew the side seams and complete the splice seam of the bodice and skirt. The extra fabric on the bottom fold cut 2 times, first 0.5 cm, and then another 1 cm and prostrochite on a typewriter at a distance of 1 mm from the bend. Also, the hem can bind with bias binding to match the material or a narrow zigzag stitching. In the very least decorate the neckline of the facing. Decorate dress for your liking with embroidery, rhinestones, beads, sequins and so on.